When we speak about great chess champions the truth is that in order to become a strong chess player, one absolutely needs to have not only a great chess talent but also "the right" person to be close by. That key person will not only give him/her confidence and support he or she needs in a very difficult chess career, but will also create the special atmosphere that is so much needed for our creative profession. That's why I decided to call my good friends Vladimir and Marie-Laure, and asked Marie-Laure for an interview about how it is to live and love one of the strongest chess players in the world, the Chess King Vladimir Kramnik. Vladimir and Marie-Laure are very nice and warm people. It's always a pleasure for me to talk to them. They have a lovely daugther, who is now 9 months old - Daria (Dasha for short). I wish all the best to this lovely chess couple and thank Marie-Laure for answering my questions! AK: Dear Marie-Laure please tell us how did you and Vladimir meet? Marie-Laure: We met during an interview which I made when Vladimir became world champion in the year 2000 and came to Paris a few weeks afterwards. I was a very big chess fan at that time, and really fought to get some room to speak about this event in the newspaper. To sum it up, I went for an interview and came back with a husband! 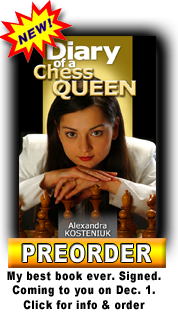 AK: What is it like to be the wife of a great chess champion? Marie-Laure: I feel it is a privilege to share the life of such a great man, but this so-called privilege has also a few drawbacks: you have to accept that when the husband is not on the way to play (which happens pretty often), he has to leave to train or to prepare (which is almost all the time). You just have to understand that you live with a kind of monument (with opening and closing hours). AK: Do you find that Vladimir is different when he plays chess and when he is not playing chess? Marie-Laure: It is an interesting question, but I suspect him not to spend so much time without thinking/dreaming about some chessy stuff, which is, I agree with you, is quite a scandal. I mainly consider that chess is a part of himself like his dark hair or his Russian origin. AK: Is it challenging for you to go to chess tournaments with Vladimir? AK: Do you worry a lot when Vladimir plays or is his attitude towards you different when he is in the middle of some very important matches? Marie-Laure: I cannot tell that I worry because I wouldn't like to add some more tension to his own, because it would be a little too much. I know Vladimir gives everything when he plays and the result doesn't depend totally on him. But of course, I care very much about his games and feel especially close to him when he plays, for some mysterious reason. AK: Vladimir and you have a little baby girl, would you like to see her playing chess in the future? AK: Tell us a little bit about yourself: where did you grow up, what is your profession, what are your hobbies? Marie-Laure: So, I am a 33 years old very French girl, born in Limoges, a middletown in the center of France, famous for its china. I came to Paris when I was 17 to study languages, history, litterature and philosophy. I started working for the daily newspaper Le Figaro 12 years ago by accident and worked already for differents departments: society, culture, politics. Now, I am responsable for the opinion pages in Le Figaro (pages Débats et opinions), which is fun. I am fond of classical music and ... reading books (in large numbers) especially books from Akounine and Wodehouse. I also practiced piano and danced myself quite a lot before becoming a mother. Last, but not least, I enjoy very much ballet and cooking, which are absolutely incompatible. I used to like chess quite a lot, but all over sudden, I met that big chess guy and stopped immediatly dating with chess (for it was also incompatible, I hate losing). AK: Do you know how to play chess yourself? AK: What is the main difference that you can see between the profession of chess player and some other professions? Marie-Laure: The most obvious difference is around your time schedule. 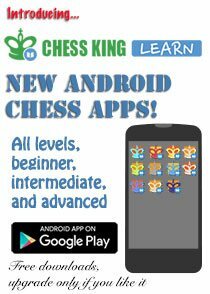 To sum it up, it is rather impossible to have a decent conversation with a chessplayer during day time: either they sleep, or they prepare, or they play. So the main difference between a chessplayer and a normal guy is that you have to catch him when he is at his best (between midnight and 4 am) to have a conversation - which will be probably around his last tournament. 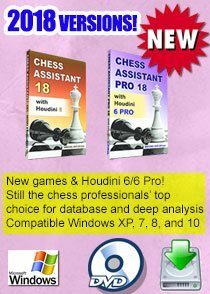 So to answer you, the main difference between a chessplayer and another guy is that the another one has available time. 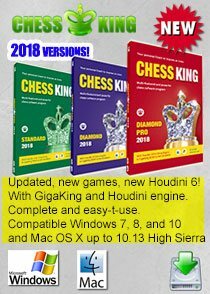 AK: As a journalist, in your opinion, what is the main reason that chess is not so popular nowadays? 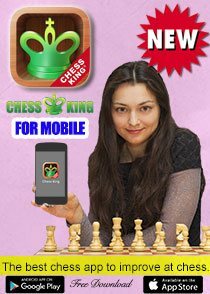 Is there any way to attract more media to chess and what would you suggest to do? Marie-Laure: You should know this better, but it seems that if you want to become a great chess player, it requires some elements which are not precisely in fashion: you have to work like crazy, hidden in the shadow, about some esoteric calculations for 20 years, miles away from any nightclubs, trendy places and easy life. You need 15 years to make a chess champion, a great cellist, a ballerina or a great surgeon. 3 months is enough to create a pop-star. Chess is not made for the television screen, it is to slow and you need a real initiation to enjoy the beauty of the game. Therefore, I am afraid it will never be a mass media sport. In my opinion, chess should come back to its origin: in the elegant loneliness of a club made by and for the elite. 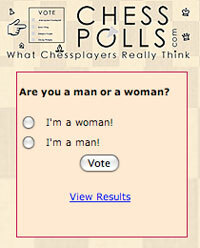 Chess is the ultimate sport for gentlemen and ladies. Well educated ones. AK: If it was up to you, what would you change in the world of chess? Marie-Laure: Better manners, better humor. 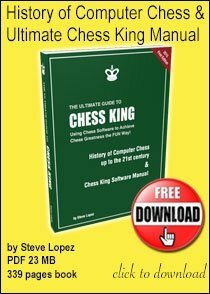 Chess is so deep that you can afford a little touch of French "legèreté"! Great interview, I knew not much about the Kramnik couple, thanks. I think I must to be a Marie-Laure fan like once I was a big Kramnik fan. P.S. is new this seccion about repies to your posts?